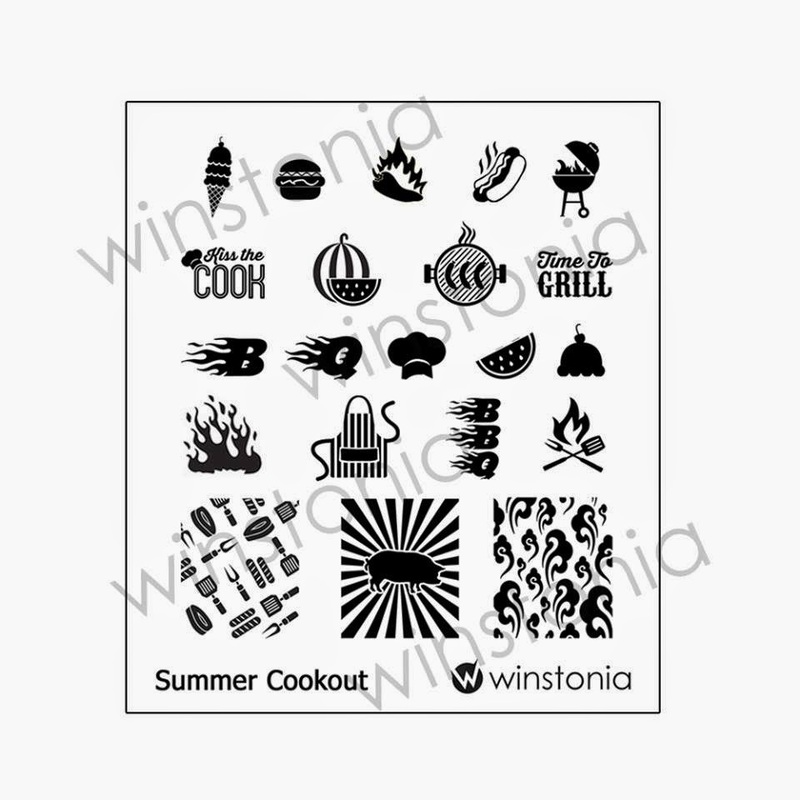 Lacquer Lockdown: Hot Off The Stamping Press: New Winstonia Store Nail Art Stamping Plates! Hot Off The Stamping Press: New Winstonia Store Nail Art Stamping Plates! This was really the best image I could find of their many new plates bundled all together, and there are definitely a few missing nevertheless you can see they have been quite busy! 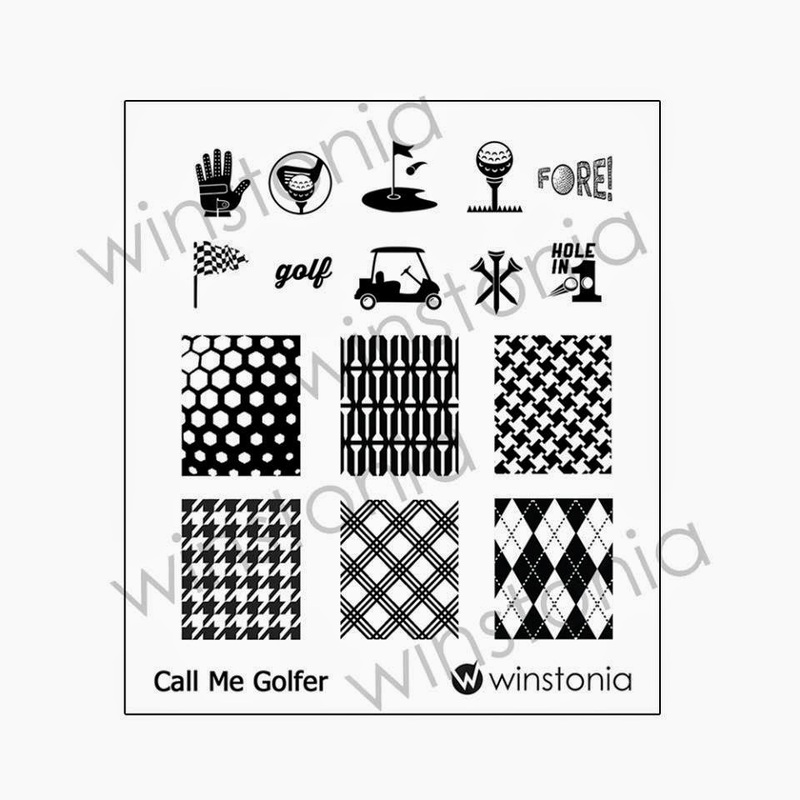 The last few weeks have seen several new additions including this adorable golfer plate. See the tees? How cute is that! Next up just in time for a little summer sizzler is this cute cute cute barbecue cookout plate! I can't tell you how much I love this one! There is also another plate called Hunter's Life. Despite my best efforts I couldn't get one decent picture of it from the website, but you can find it here. And guess what released today? A new beach themed plate!